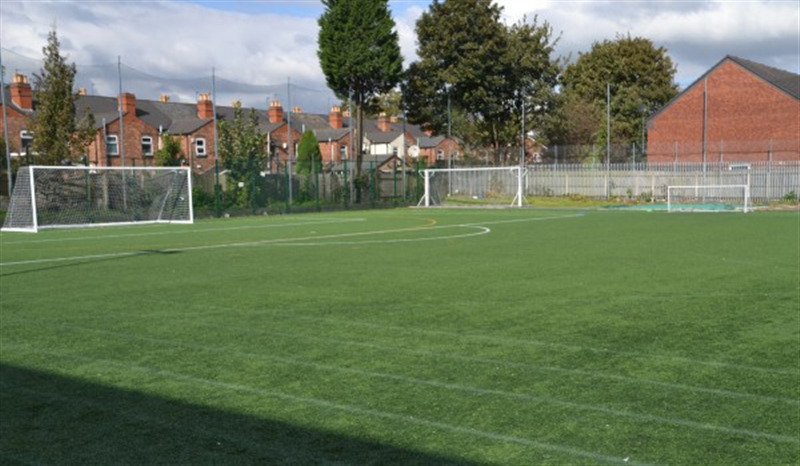 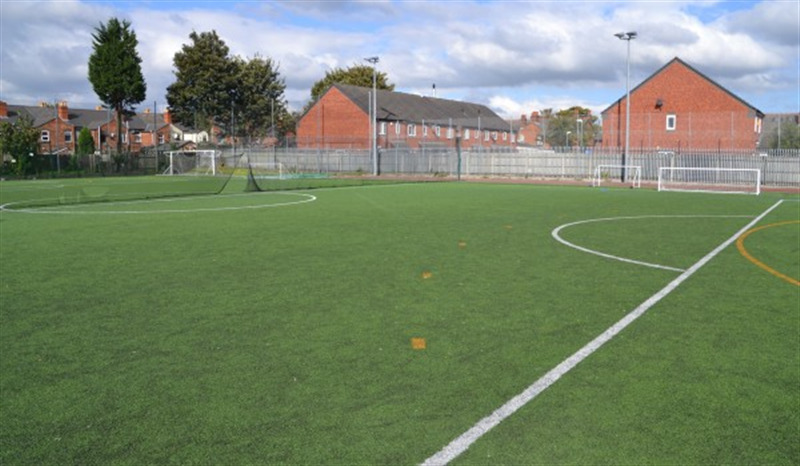 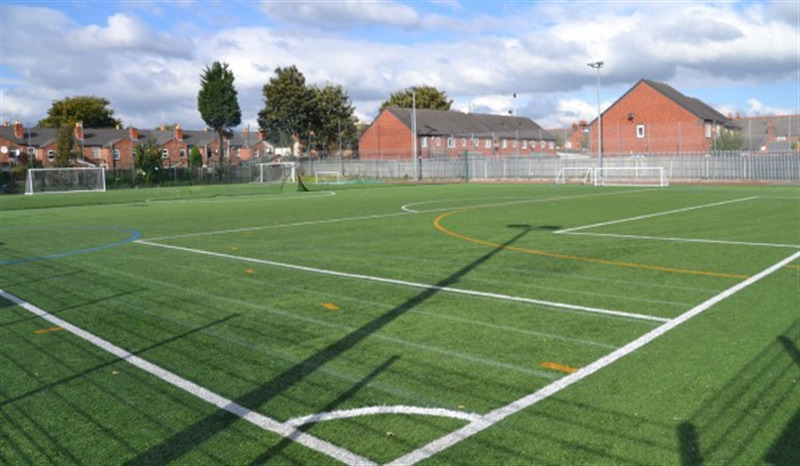 The Broadway Academy boasts a fantastic third generation astro turf football pitch which can be hired out as the whole 7 a side football pitch or can be split into two 5 a side pitches for smaller games. 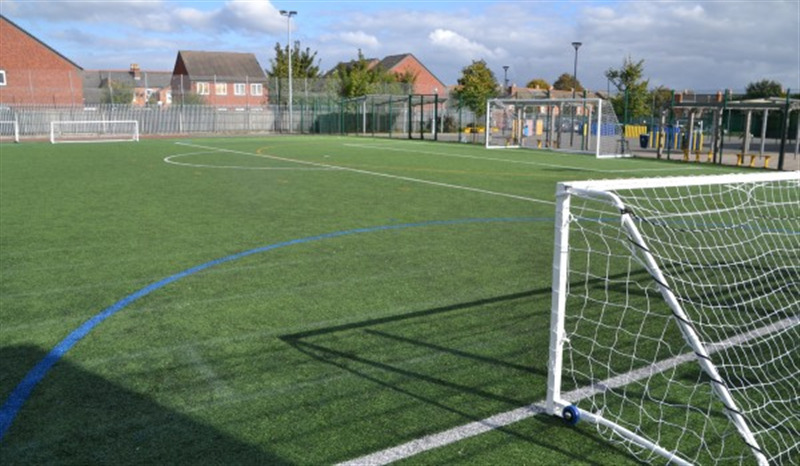 The football pitch comes fully equipped with suitable goals, fully floodlit and enclosed to ensure easy play. 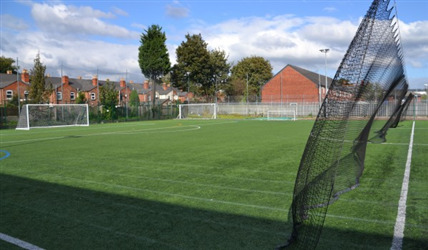 Inside the academy is a sports hall which is an ideal space for a huge range of sporting events such as badminton, netball, 5aside football, basketball, and much more.